Charles Robertson – known by almost everybody as ‘Chick’ – was another who came into running from cycling. The introduction below comes from a Photoflash feature in ‘The Scots Athlete’ and outlines his road into the sport and early successes. The Services teams were all very good with the Army, Navy and Air Force all looking after established athletes who had joined up or been conscripted as well as discovering new talent. Derek Ibbotson, Alastair Wood and Joe McGhee were all in the RAF and the Army Team was renowned for its excellent teams. The British Army on the Rhine after the War had teams that were the equal of many National squads and to be in that team says a lot about his cross country ability. The above was taken from a ‘Photoflash’ by Robert Robinson in the ‘Scots Athlete’ and it will be quoted again in this review of Robertson’s career. He went on the next year to win the Scottish Marathon for the first time and the race itself is described in ‘A Hardy Race’ as follows. “Charlie always gave the impression of being in ‘control’. This impression is emphasised by Gordon Porteous who actually competed on 11th September 1948 over the Perth to Dundee course (extended to full distance) during Charlie Robertson’s first success in the SAAA Marathon. Gordon writes that “The first few miles were rather sedate, there being a pack of six or seven runners, yours truly among them, none of whom wanted to take the pace, till Charlie decided to go at five miles.” The break was clean and Charlie (2:45:12) won by over three minutes from John Emmett Farrell.” Charlie’s first attempt to make the Olympic marathon, the first being in 1948. In the trial that year he led to 23 miles before his legs gave out and the great marathon man Jack Holden won admitting later that Robertson had had him worried for a time. In 1949’s Scottish Championship, Jack Paterson won over the Gourock to Ibrox course and in 1950 Robertson finished second to Harry Howard, defeated by only 13 seconds and in August set a new record for the 22 mile Perth to Dundee race. 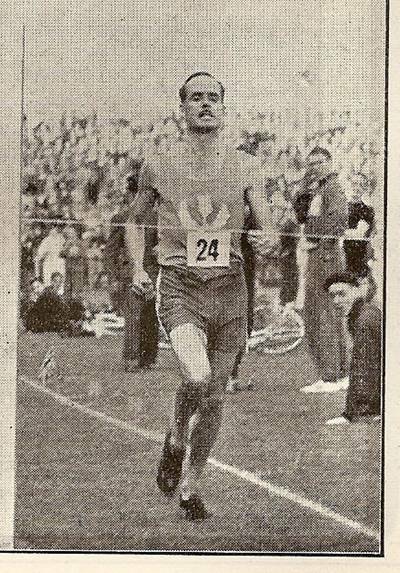 In 1951 Jack Paterson won the Championship held for the first time in conjunction with the Scottish Track and Field Championships. Charlie Robertson had had his best winter in season 1950-51 and finished third in the Scottish Cross Country Championships. He set a new course record to beat his own standing record and then only two weeks later won the Edinburgh Marathon and it was reported in great detail in the ‘Scots Athlete’ as follows. “This race at Edinburgh was one of the most interesting I have seen for some time. There was an unfortunate incident at the onset. The race started before the advertised time and for some unknown reason Charlie Robertson and Harry Howard were left in the Invitation dressing room although the main dressing room where the other marathon runners were had been cleared. After the first lap of the track these two runners joined the race with the knowledge that they would have to run the extra lap when they returned. 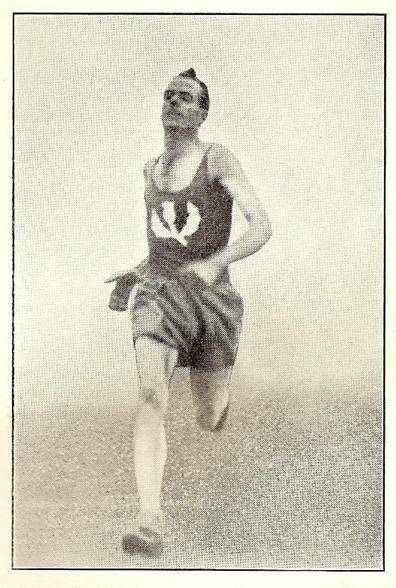 When the race was clear of the park, B Murray (Teviotdale H) was in the lead followed by J Kelly (Bellahouston H), A Brown (Motherwell YMCA) and F O’Kell (Liverpool). Murray remained in the lead until just before five miles when Charlie Robertson (Dundee TH) took the position and Murray faded out of the picture. Five miles in 29:57 found Robertson leading with JW Stone (RAF), O’Kell, J Thomson (Carlisle), Harry Howard, J Winfield (Derby) and Jack Paterson (Poly) all in a bunch. It was a perfect day, cool with no wind. At 10 Miles the Scottish Champion Paterson, not looking too happy, was in front in 1 hour 0 minutes and 4 seconds followed close by Howard, Stone, O’Kell, Thomson, Winfield and Robertson. Winfield, a veteran track and cross country internationalist who was third in this year’s British Championship was not going too well. Stone the RAF boy was looked exceptionally fit and well and seemed to be the only one enjoying the race. At 15 miles in 1 hour 29 minutes 35 seconds Howard was in the lead with Stone and Robertson. There was a gap of 30 yards with Paterson and 25 yards behind came Winfield who pointed to his ankle and then dropped behind. At this period Stone went into the lead and very soon drew away and it looked as if the race was all over he looked so fit and well. At 20 miles in 1 hr 59 mins 35 secs Howard decided to do something and strode out with Robertson following close behind and Paterson some 50 yards away. After almost sprinting down a long hill at Sighthill, Howard passed Stone, who was also passed by Robertson, who was now looking very tired. At the 24th mile Robertson made his effort and passed Howard who looked all in and Robertson then made no mistake running strongly to the park he ran the course – including the extra lap – completing in the fastest time of the series in 2 hrs 38 mins 15 secs. JW Stone (RAF) who had passed Harry Howard only outside the park was second in 2 hrs 38 mins 33 secs, Harry Howard was third in 2 hrs 40 mins 50 secs . J Paterson who was an excellent fourth in 2 hrs 41 mins 59 secs was the liveliest at the finish and almost sprinted the last lap to show how fresh he was. The handicap race was won by J Bell (Kirkcaldy). GS Barber ‘The Scots Athlete’. If you look at this cast list it contains no fewer than four future champions, four future record holders and eight cross country internationalists. “Here is an athlete who has studied all aspects of the running game and found health and joy in it. He has made running his hobby and like any hobby it has taken up all his spare time, if he has any, being a teacher of Art in Dundee, father of four bonnie children – two boys and two girls – and a keen enough gardener to keep his family in fruit and vegetables. Charlie who is 32 years of age was pre-war a 100% cyclist and did long distance touring and time trials from 10 to 50 miles. In May 1939 he was in the Territorials and on outbreak of war was introduced to running via Army PT and curiously enough he liked it so much that by the winter of 1945-46 he finished up by being captain of the BAOR team and the Army team in the Inter-Services Championships – by the way with the rank of Major in the Black Watch. When he was demobbed he joined Dundee Thistle Harriers and has since been a stalwart for the club. He was soon bitten by the long distance bug and since then he has had 29 firsts over all the various road races that are now so popular in Scotland. These include 4 Perth to Dundee and 5 Brechin races. He has won two full distance marathons in Scotland, the Championship in 1948 and the Edinburgh Highland Games marathon in 1951, which he thinks is his best win. He has been twice second in the Morpeth to Newcastle race, 1948 and 1950 and was fourth in 1951. He feels he ruined his chances for selection in the 1948 Olympics by trying to race Holden in the trial and he retired when lying third at twenty three and a half miles. He won the Eastern District Cross Country Championship in 1947 and 1950, was fifth in the National in 1948, seventh in 1950 and third in 1951, and ran in four International Cross Country Races finishing 20th in 1948 (2nd Scot), 44th in 1950 (2nd Scot), 51st in 1951 (8th Scot) and ran at Sheffield (14th) in 1951 being 3rd Scot. 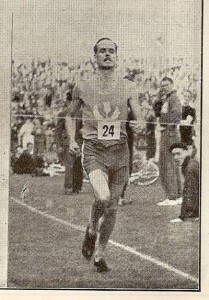 His track running includes 2nd in the Scottish 6 Miles in 1951: his time was 31 minutes 40 seconds. Finishing 6th in this year’s National he was honoured with the captaincy of the team to be 6th counter in 34th position. I remember well his first appearance in the Perth-Dundee Road Race with Donald Robertson in opposition. Charlie ran against the advice of his friends but I can say now that I was ahead with Donald and he was very doubtful if he would win. If Charlie had made an effort going down to the Esplanade it is possible he could have won the race easily. Charlie is a strict non-smoker and teetotaller with no food-fads, believes eggs, cheese, milk and fish are as valuable of meat – which is good advice these days. After long experimenting he finds that his pre-race meal should be scrambled eggs with toast or brown bread and butter followed by breakfast cereal with honey and milk. This short meal should be taken 2-3 hours before a short race and 1-2 hours before a full marathon race. He feels that it’s a mistake to run a long distance race without food inside. Young runners do not study pre-race feeding enough, consequently the result is tummy trouble. His views on coaching, training and massage are interesting. He never used massage and says of training is regular it is unnecessary. He abhors the smell of oils and embrocation in dressing rooms, one cannot oil legs like cycle wheels. On a wet day on the roads he puts a smear of vaseline on the legs from calf to ankle and on a cold day, to the knee caps. How can the skin breathe with pores filled up with oil or grease? He takes very little body exercise – maybe shoulder loosening only so that arm movement should be independent of any body movement. Charlie does not think walking is an efficient part of training but useful from a general health point of view. His idea is entirely opposite from Dunky Wright who considered long distance walking an essential part of his training. He has no regrets at taking up long distance work but often wonders what he may have done at 1 mile or 3 miles. His method of training is very elastic. He runs as to his mood, weather and time. He feels that the biggest training fallacy is that distance blunts speed. He repeats that distance makes you fitter and if you are fit, speed will be there. We spoke of whether the time spent in the Services would take the edge off athletic fitness – thinking of any boy going up for training. Charlie thought that he should gain in general physical development and with widened outlook on his return should be a better athlete than when he went in. In March 1952 the AAA’s Marathon and Olympic trial was held over the Windsor to Chiswick course and is remembered mainly for Jim Peters’ winning time of 2:20:42 which was a world best. He was followed by Stan Cox and Geoff Iden and the three of them moved off pretty early in the race. Charlie was determined this time not to go off too quickly and started fairly steadily and came through strongly at the finish to be fourth in 2:30:48. He was really unlucky this time to run so fast and so well and miss out on selection for Helsinki. The Scottish Marathon on 9th August was again over the lengthened Perth to Dundee course. Charlie was the clear favourite given his form and the course that he knew so well. There was a genuine contender though in the Anglo Scot John Duffy from Broxburn who was living in Essex and was friendly with Jim Peters. In the actual race, Joe McGhee (who had been nine minutes down on Robertson in March) stayed with the leaders early on but it was soon a two horse race between Robertson and Duffy with the Anglo over 20 seconds ahead at one point. By 24 miles Robertson had a 100 yard lead but felt that he had cramp and stopped to touch his toes and do all the usual exercises to relieve it before moving off and then having to stop again. Nevertheless he won the race by 25 seconds from Duffy in 2:38:07 with Emmett Farrell third. Because of business commitments he faded from the athletics scene in 1953 after his wonderful 1952 because of business commitments. He had had a wonderful career and was unfortunate not to take part in any major Games but he left a mark on Scottish athletics and his name should maybe more familiar to today’s marathon men than it is.